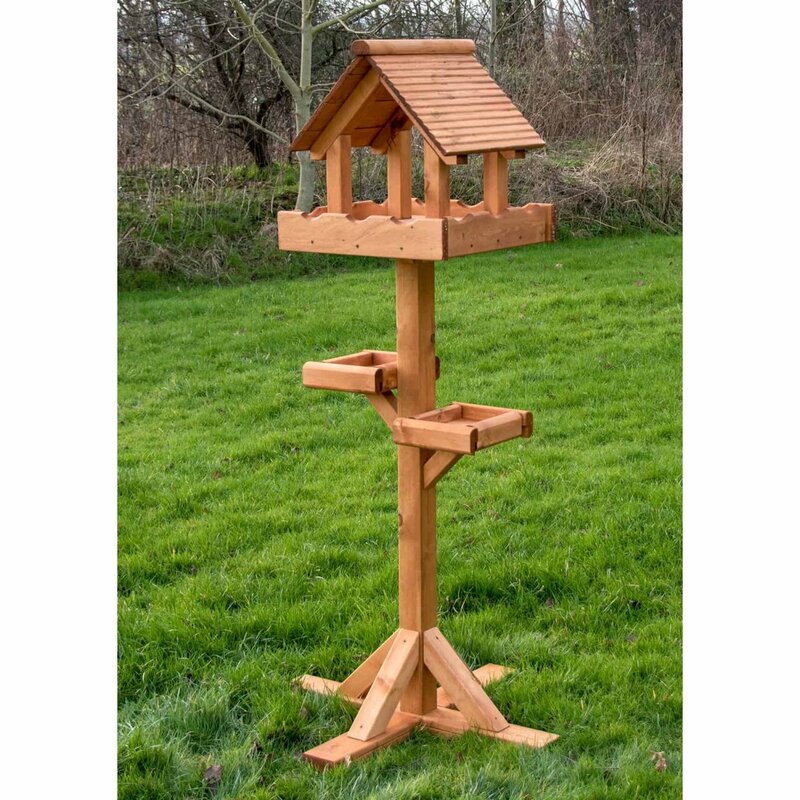 An excellent large and well designed bird table, with three feeding platforms. The main table is 500x480mm, so large enough for several birds at once or ideal for some of the larger birds such as Doves and Pigeons. 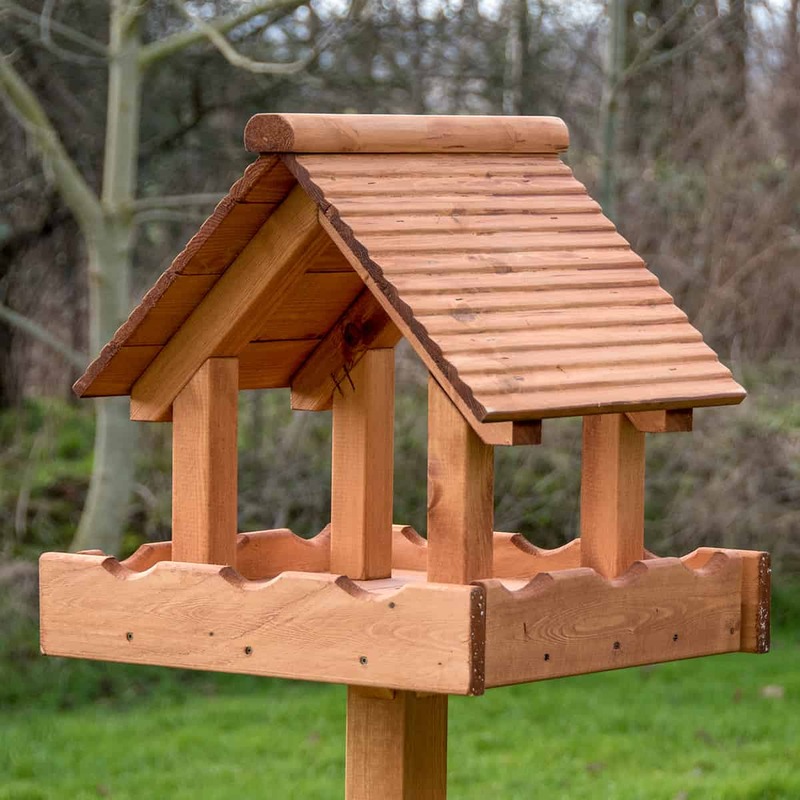 There are two additional feeding platforms perfect for the smaller birds or those that wish to feed at lower level (or while the top one is full). Is it possible to get this table with a slate roof and mesh/ caging to sides to prevent larger birds from feasting on entire contents put onto table? Could you let me know what wood is used to build the large triple platform bird table. I would like to order this table but with a slate roof. Is this possible? If so, is there a difference in price? I think this table would be excellent for our large garden, however we are on quite an exposed site with strong winds. The table will be standing on a level surface covered with small decorative stones so is there a way to anchor the base into the ground?? ?